In a serene oasis in the heart of Rome, the five-star Sofitel Rome Villa Borghese is an enchanting boutique hotel. Set in an historic building dating back to the 1890s, the hotel enjoys splendid views over the Villa Borghese park. The Spanish Steps, Trevi Fountain and Via Veneto provide the backdrop to the area catapulted to fame by the 1960s movie 'La Dolce Vita.' Today it is the exclusive reserve of dazzling designer boutiques, restaurants and bars. Please join us for a Magnifique voyage through the vibrant artistic and historical treasures of Rome, at the crossroads of French art de vivre and Italian neoclassical style. Life is Magnifique in Roma..
Each Sofitel is a unique mix of French art de vivre and local charm. 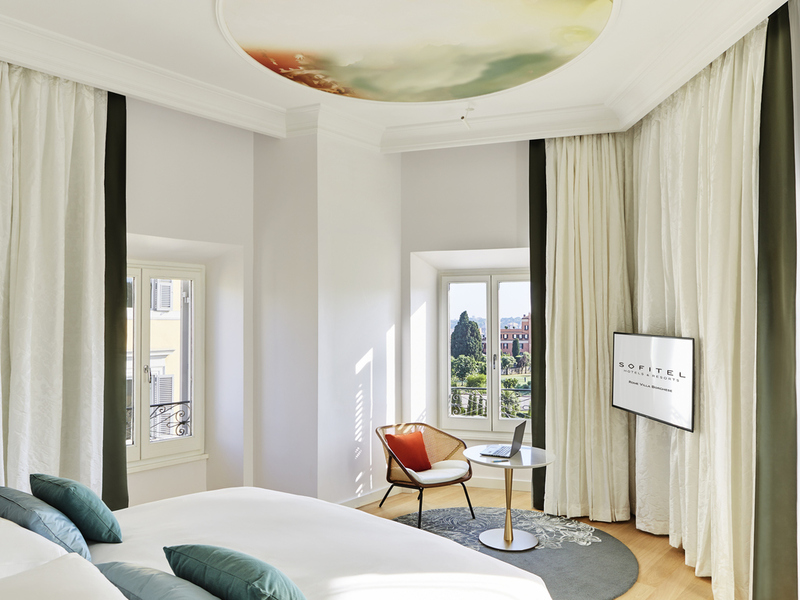 Exuding French elegance and casual chic style, the Sofitel Rome Villa Borghese is a 5-star paradise steeped in history, just a stone's throw from the majestic Villa Borghese park. Discover the most romantic corners of Rome from this oasis in the heart of the city. Start with a stroll toward Villa Medici along some of the most elegant streets of the Eternal City. Or perhaps admire the charm of the nearby Spanish Steps. Just like the nearby Villa Medici, home to the French Academy in Rome, the Hotel Villa Borghese is itself a real museum. The elegant lobby and the Littérature room boast a curated collection of artwork on display for your enjoyment. 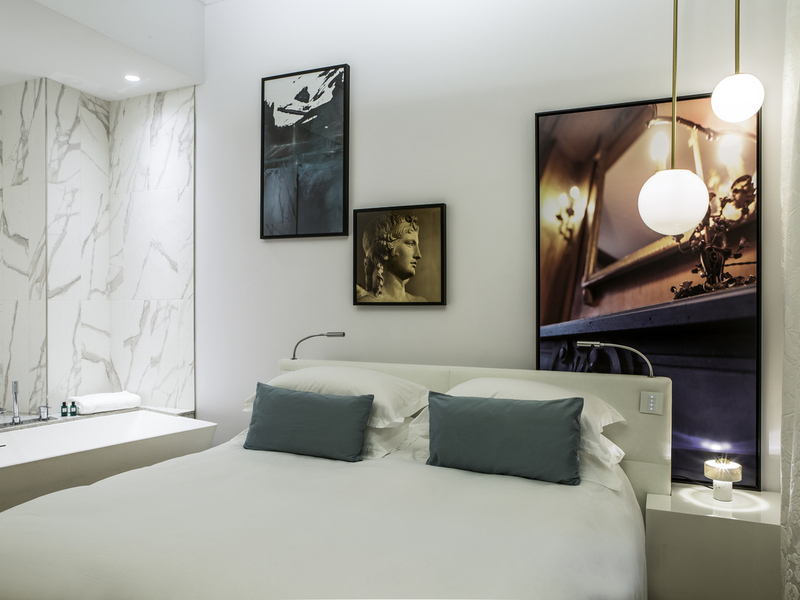 Each elegant room features chic décor and premium Hermès toiletries, as well as other little luxuries. Relax in your retreat as you look out over the Villa Borghese park and the enchanting streets of Rome. Quiet corner in the heart of Rome, between Piazza di Spagna and Via Veneto, in front of Villa Borghese Gardens. Close to restaurants, bars and main attractions (Villa Medici, the Vatican, Trevi fountain), the hotel is in a cross street of Via di Porta Pinciana, between via Lazio and via Ludovisi, near Trinità dei Monti and Villa Borghese gardens. Nearest metro stations: Barberini, Spagna. Valet service. 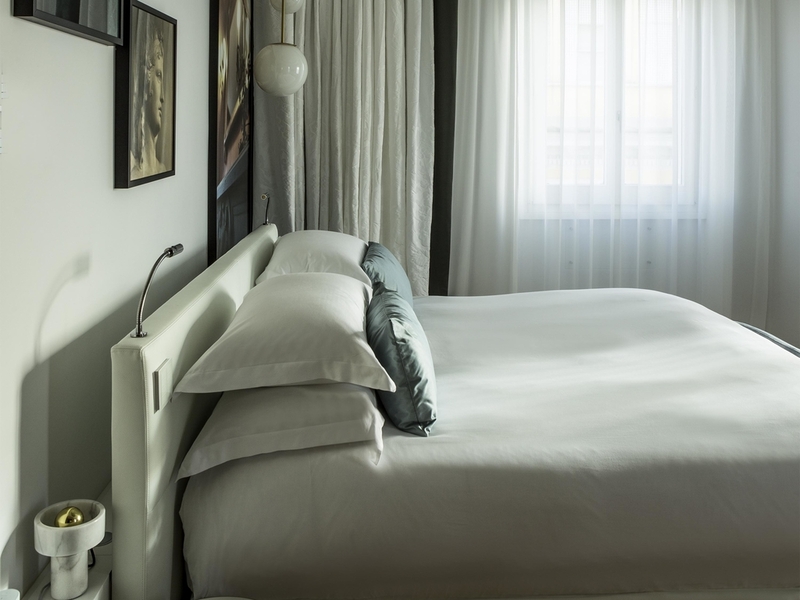 Luxurious suites in Rome that combine French and Italian elegance. Enjoy spectacular views of Rome over a romantic meal on your very own private terrace. Elegant room measuring 215 sq. ft. (20 m²), decorated in a classical style with 1 Double Size MyBed Bed, marble bathroom with Hermès products, computer desk, minibar, safe, Bose iPod docking station, LCD TV, WIFI (512 KB) and ADSL connection available. 269 sq. ft. (25 m²) - Elegant room in classical style, MyBed double size bed, marble bathroom with Hermès products, well-equipped desk, digital safe, LCD TV, WIFI (512 KB) and ADSL available. 269 sq. 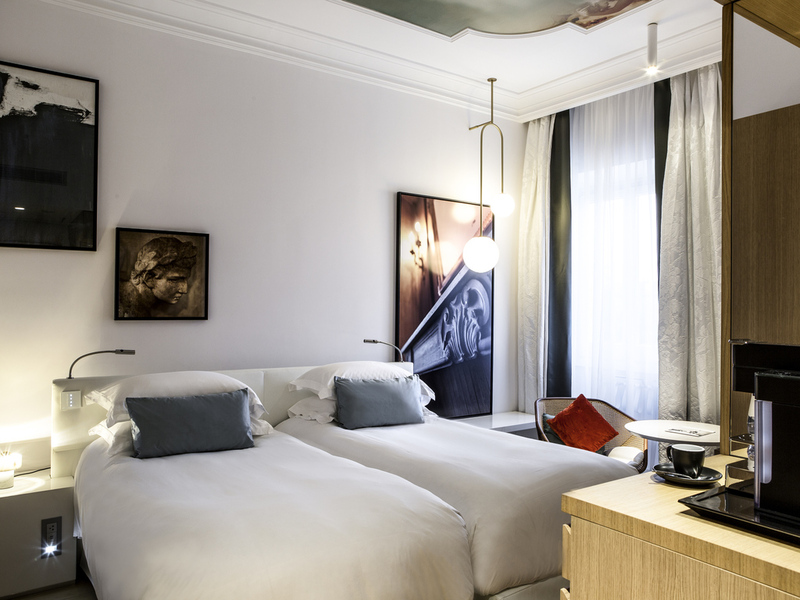 ft. (25 m²) - Elegant room in classical style, two MyBed single size beds, marble bathroom with Hermès products, well-equipped desk, digital safe, LCD TV, WIFI (512 KB) and ADSL available. Peaceful and spacious Luxury Room measuring 355 sq. ft. (33 m²) with 1 Double Size MyBed Bed and single sofa bed (on request and subject to charge), b/r with Hermès products, desk, Bose iPod docking station, LCD TV, WIFI (512 KB) and ADSL available. Luxury Room measuring 301 sq. 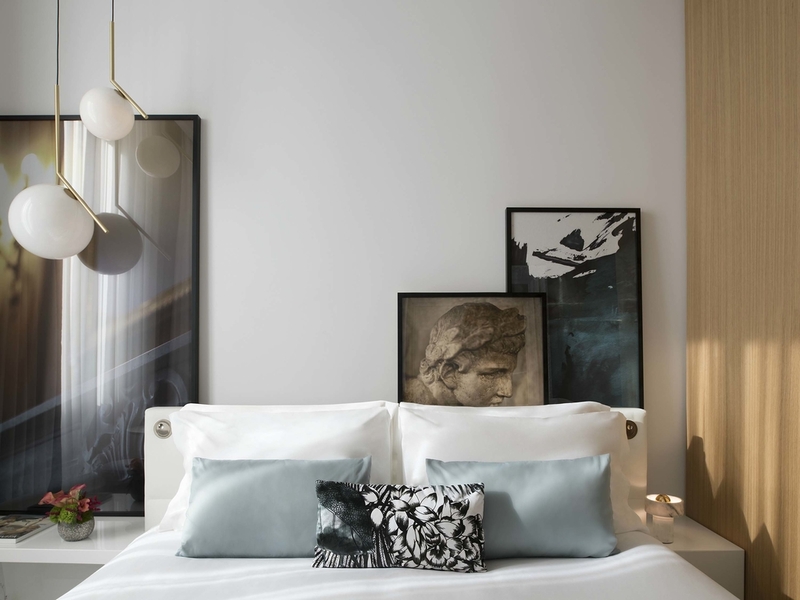 ft. (28 m²) with external views, decorated in a chic classical style with 1 Double Size MyBed Bed, marble bathroom with Hermès products, desk, Bose iPod docking station, digital safe, LCD TV, WIFI (512 KB) and ADSL available. Suite measuring 538 sq. 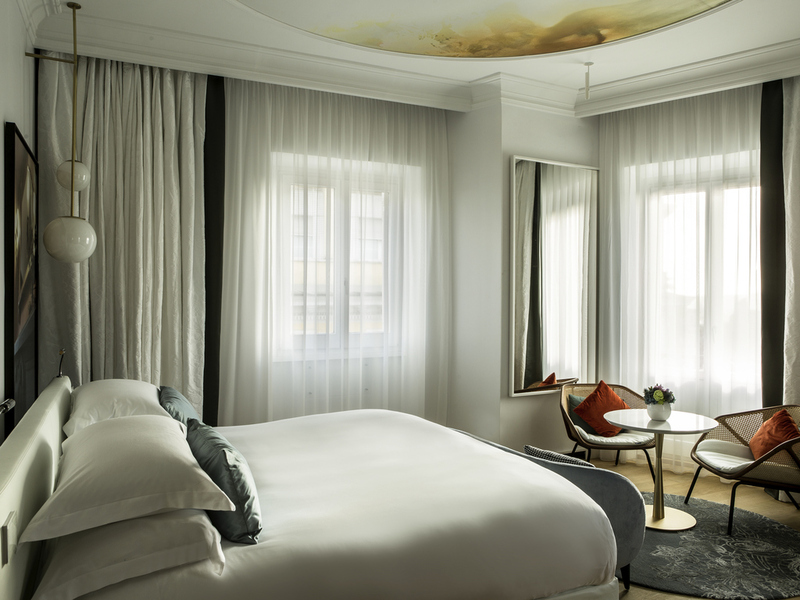 ft. with panoramic terrace, 1 King Size MyBed Bed and spacious b/r with Hermès products. Separate living area with home theater & Bose iPod docking station, 2 LCD TVs, Nespresso machine, WIFI (512 KB) & ADSL. Extra bed on request. La Terrasse Cuisine & Lounge is the perfect place in Rome to sip a drink at sunset and enjoy views of the capital. La Littérature offers an intimate and sophisticated atmosphere and is equipped with soft armchairs and original works of art. Indulge in a sublime culinary experience under the stars at La Terrasse Cuisine & Lounge. The menu created by chef Giuseppe D'Alessio is a triumph of Mediterranean flavors and aromas. Sip a cocktail in our panoramic bar, with the dome of St. Peter's Basilica as a backdrop. For events, banquets, cocktail evenings or private receptions, invite your guests to join you in our welcoming lounge, La Littérature or at La Terrasse Cuisine & Lounge, voted "Best Hotel Terrace in Europe" in 2013. An Inspired Meetings concierge will guide you in your choice of activities and visits, as well as suggesting tailor-made menus, from wine tasting to French pâtisserie. The business center, WIFI and secretarial service are what make Sofitel Rome Villa Borghese a unique boutique business hotel in the center of Rome. La Terrasse Cuisine & Lounge can seat up to 120 guests and is the perfect place to celebrate the most exciting day of your life. You will be enchanted by suites with their own private terraces and breathtaking views over the city. Enjoy your honeymoon in one of our suite with private terrace offering a breathtaking view over the most iconic sights of Rome and be pampered by our caring Ambassadors attentions. The concierge can book visits to attractions such as the Vatican Museums, the Colosseum and the Borghese Gallery. The hotel offers a baby-sitting service, valet parking, airport transfers, WIFI connection and 24-hour comprehensive business center. We can organize a visit to the Galleria Borghese and Villa Medici, just a five-minute walk from the hotel. With our recommendations, you will discover Rome's upbeat charms - a fascinating living museum with typical Italian life in all its glory.